The Queen, The Duke of Edinburgh, and other Members of The Royal Family attended the wedding of Princess Eugenie of York and Mr. Jack Brooksbank at St. George's Chapel, Windsor. 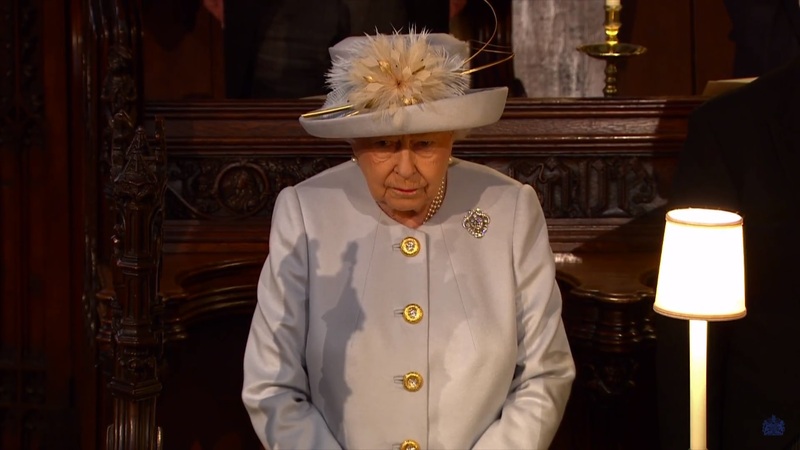 The Queen picked a Stewart Parvin ice blue cashmere coat with diamanté buttons and a coordinating blue, peach and gold dress for her granddaughter's wedding today, paired with a matching Angela Kelly hat. Plus a very dapper Duke by her side, of course! Another wedding also brings about another surprise tiara loan! 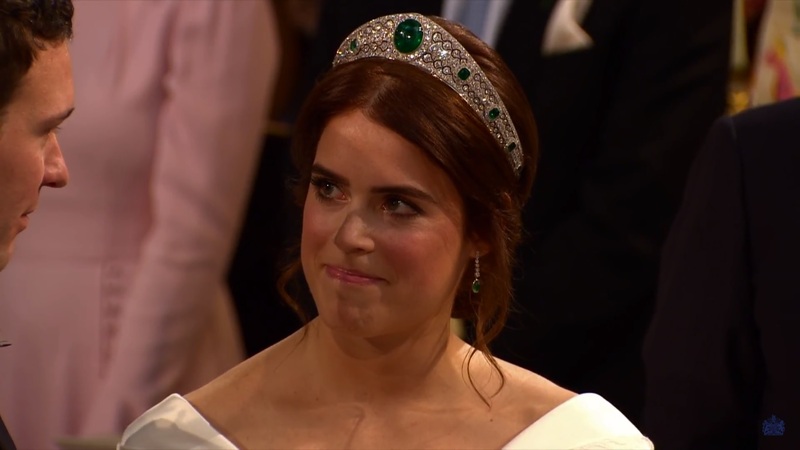 The Queen loaned Princess Eugenie the Greville Emerald Kokoshnik Tiara, a piece which was obviously part of the Greville bequest but which has not been seen on a member of the Royal Family prior to today. It's one many have been waiting anxiously to see! This is the first time we've seen Eugenie in a tiara and I believe the first time we've seen her wear jewelry loaned from her grandmother. The earrings were a gift from the groom. The green details are stunning on her! We also had a loan on The Duchess of Cambridge, who wore The Queen's Diamond Pendant Earrings again. Click here for complete wedding coverage at Order of Splendor. P.S. : The Queen did have an investiture yesterday. Of course, I've yet to see evidence of the brooch, so I didn't cover it separately.